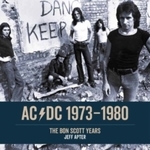 A collection of largely, previously unpublished photos of AC/DC, taken during the last days with Bon Scott and the early years with Brian Johnson. 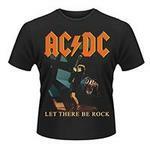 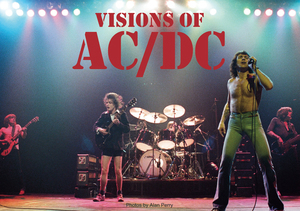 Visions of AC/DC showcases AC/DC in its natural environment where the band can be witnessed in full flight as Angus and the lads pulverise the audiences with their high energy rock ‘n’ roll. 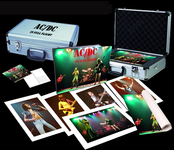 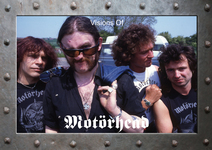 With Malcolm Young having retired from the band in 2014, Brian Johnson forced to step down and Cliff Williams also quitting, Visions of AC/DC offers a unique opportunity for AC/DC fans to own a great collection of photos that fully reflects the band during a classic era. 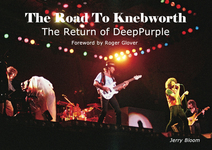 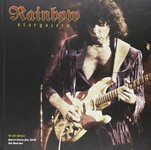 DISCLAIMER: This book is a softcover version of the limited edition AC/DC In Full Flight with a few additional images.